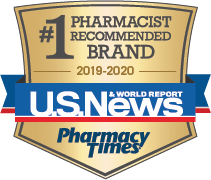 The OTC Guide web site is an online resource for consumers and pharmacists to review over-the-counter (OTC) product information combined with the insights learned from the Pharmacy Times Survey of Pharmacists’ OTC Recommendations. This information is designed be an additional source of knowledge for consumers to aid them in identifying and using appropriate products for self-care of many common symptoms and conditions. Information provided in this web site does not replace advice from a qualified health care provider such as a physician or pharmacist. Always consult a qualified health care provider to best understand which products are most appropriate for you and how to use them.